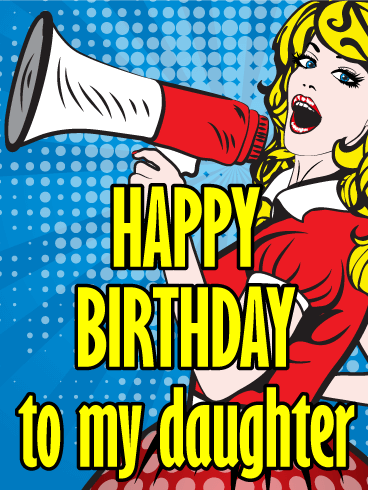 Bright, fun and playful, this birthday card is the absolute best for any daughter who has a big personality and a bold sense of style to match! With plenty of retro flair to spare, it features a poppy blue background and happy tones of red and yellow. There's no doubt this birthday shout out will make a special young (or young at heart) lady feel like celebrating.